Jordan's Foreign Minister responds to Netanyahu's criticism of Jordan following Jerusalem stabbing attack. 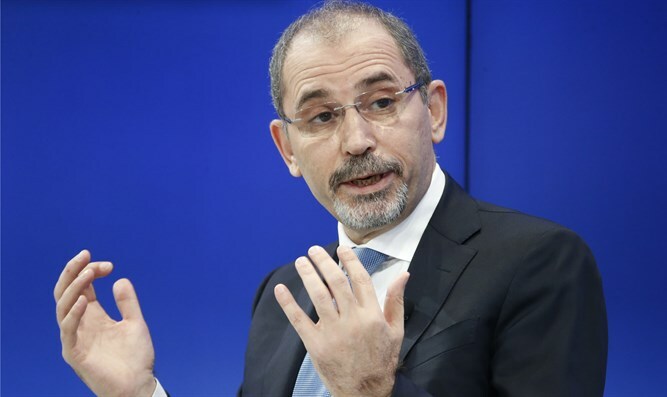 Jordan's Foreign Minister Ayman Safadi on Sunday said that his country's position opposing terrorism was "clear to everyone". His comments were a response to Prime Minister Binyamin Netanyahu’s criticism of Jordan a day earlier, after the kingdom blasted Israel for killing a Jordanian terrorist who carried out a stabbing attack in the Old City of Jerusalem. “Jordan is and was a voice of reason and peace. Our positions against violence and terrorism are clear to everyone,” Safadi said at a press conference in Amman with his Egyptian counterpart, Sameh Shukri, and PLO Secretary-General Saeb Erekat, according to Yediot Aharonot. The diplomatic row between Israel and Jordan erupted on Saturday after Mohammad Abdullah Salim al-Kasji, a Jordanian citizen who was in Israel on a tourist visa, stabbed an Israeli police officer in the Old City in Jerusalem before being shot dead. Jordan in response said that killing the terrorist was “a terrible crime”. Netanyahu later issued a statement calling the Jordanian reaction “outrageous,” and said Amman appeared to be backing terrorism.